Relaxing and flexible hostel style B&B together with a campsite for tents on a family farm in a rural village with pub in North Kent Downs Area Of Outstanding Natural Beauty (AONB). Ideal for cycling, walking and for those with a love of the countryside. Walk through the heart of the Downland with it's beautiful wooded valleys and mixture of farmland concealing many old and interesting villages. 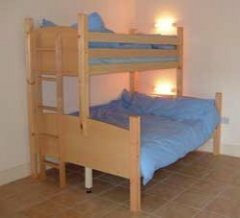 Ensuite rooms with comfortable beds and bunks, kitchen, garden, BBQ, continental breakfast and linen included. 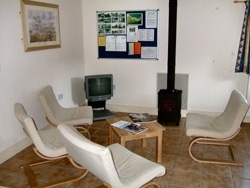 The campsite offers modern washing and toilet facilities. We cater for individual people, couples, families and groups of up to 30 people. If you would like to book your stay at Palace Farm, please visit our web site.